If you have been a victim of an accident that was an outcome of someone else’s negligence, you might be eligible to file personal injury claims. To ensure your injury claim is verified and has chances of acceptance, you will have to contact the best personal injury solicitor. However, with so many personal injury solicitors available, it has become tough to decide the best one for the job. It is always recommended to check on the friends and family if someone has been able to make a personal injury claim successfully. If you can get a recommendation from someone you know and can trust is the best. Always check the ratings of any firm or personal injury attorney ratings & reviews online. Google is the best medium to check whether a solicitor holds impressive rating or not. It is reported that people who have had a bad experience with a solicitor are more likely to leave a review than those who have had a good experience. This will help you finalize the best personal injury lawyers. Another important aspect is hiring someone who is experienced. 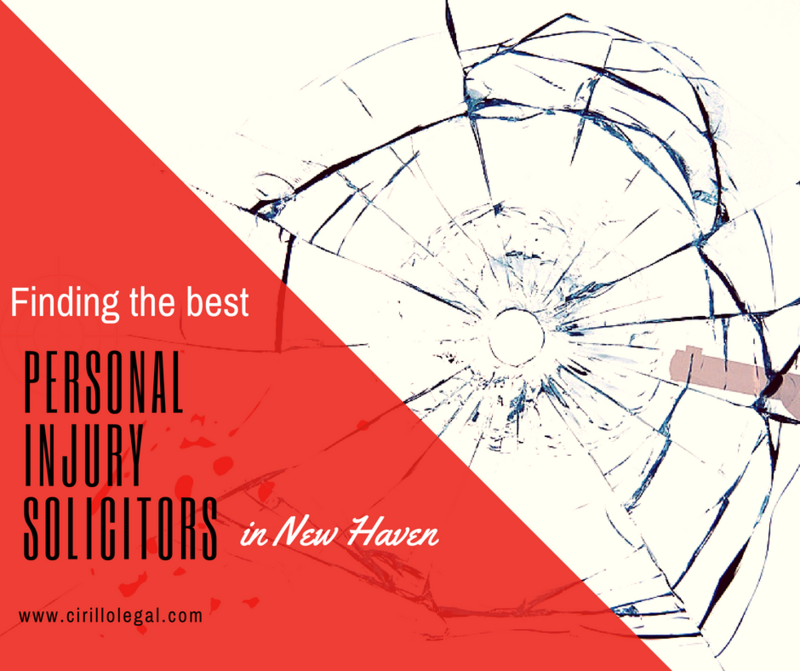 For this, experts suggest hiring personal injury law firm New Heaven CT. with a firm you get an assurance of hiring an experienced, knowledgeable and reliable solicitor. It is important that you should check whether the firm is capable of handling cases like yours or not. There are different types of accidents and different firms specialize in handling a variety of cases. Check the lawyer’s website carefully to identify its specialty and match it with your requirements. No Win No Fee is an option that allows people to save their money in case they did not win the claim. You must check if the personal injury attorney you are wishing to hire provides the said service or not. These are a few things that you must consider while searching for personal injury solicitorsto ensure you have the best options in hand. Once you have a list of eligible contenders, you may choose the personal injury law firm New Heaven CT.